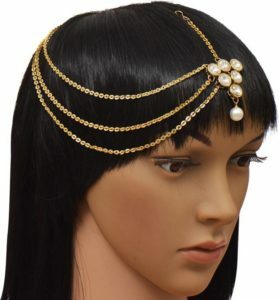 One of the things I notice about fashionable women is that it’s not just their clothes that look great, their outfits are always punctuated with great accessories. Often great style is in the details. 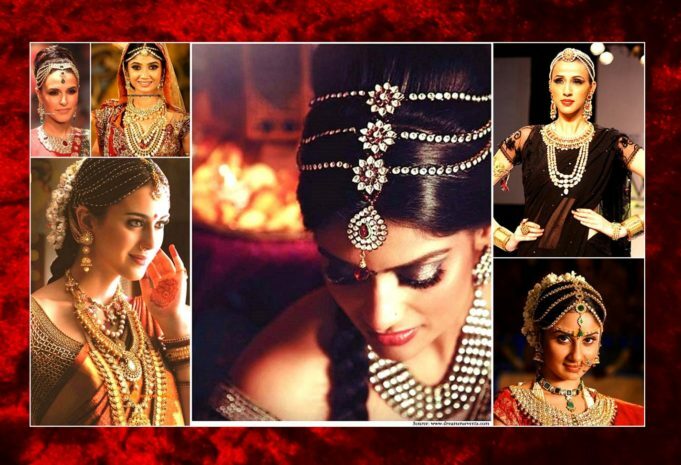 Maang tikas are the coolest way to jazz up your traditional or party look. 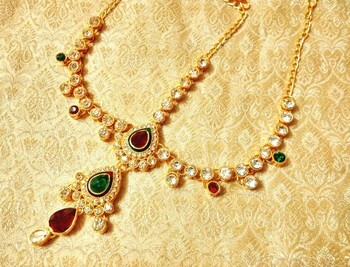 Maang tikka is a typical Indian jewellery item worn mostly by married women across the country. Popularized throughout the world for its crowning effects, maang tikka designs are sought for their vivaciousness. For the uninitiated, a maang is a middle parting and tikka is the jewelry that adorns it. The maang tikka is usually a designer string with a small pendent that falls on the top of the forehead. To help you we have choosen some maang tikas which is not for one particular category but you can wear them with with all the traditional dresses that could make a perfect match for you dress. Rajasthani maang tikka designs which are colorful, bridal maang tikka designs for the new brides along with fashionable maang tikka designs for the youngsters out for fun and play. The maang tikka pendant can be small or big, half-moon or triangle, dainty or daring, traditional or modern, the choice is limitless. Western maang tika has a antique look. 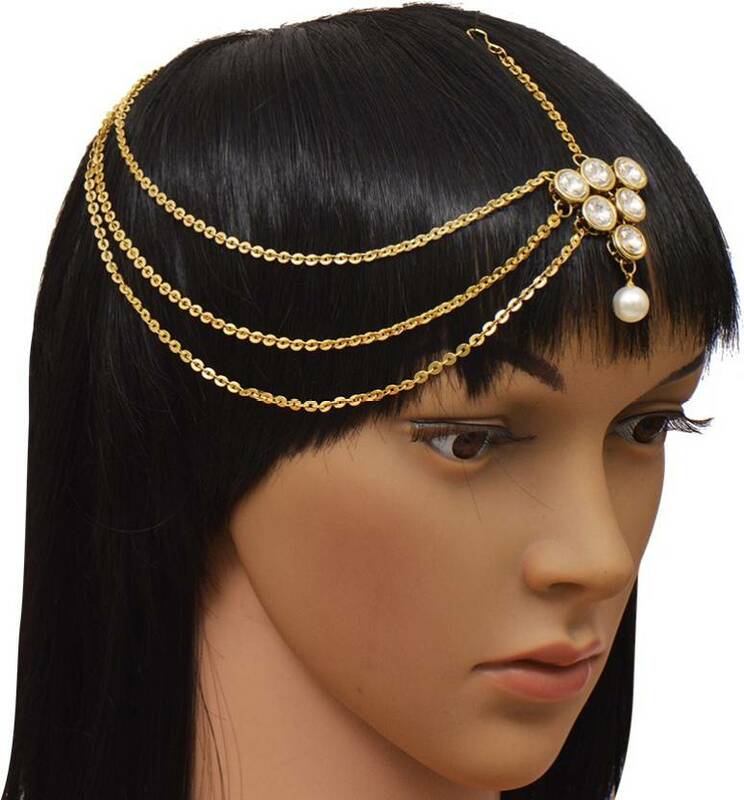 It gives you very different look.can be wear on western dresses. 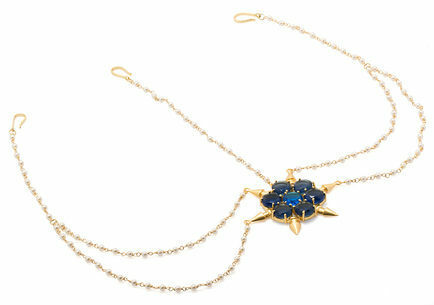 Make your look tantalizing and stunning with this stylish maang tika. 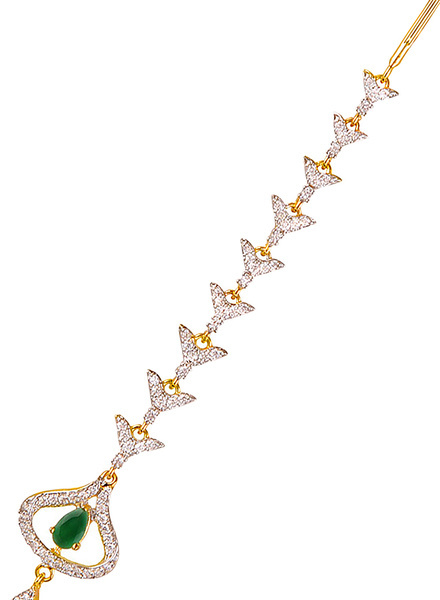 It is beautifully adorned with glitzy Red and Green stone which will definitely let your attires glow with elegance. This will be a perfect choice for your traditional dress. Sparkle Street will be a perfect pick to complete your traditional appearance. Made from alloy, this maang tika is light in weight and superior in quality. Grab the one which you think will be a perfect match for your designer wear.